The structure and plan of you new software are important if you want an option that meets you needs. Here are four software development methodologies to know. When only 30% of workers claim that they feel inspired by their jobs, it can be easy to throw blame on the worker for their own feelings. As the truth is often more complicated, one of the major reasons could be poor organization in the workplace. 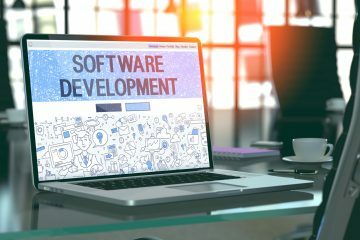 For tech companies using the wrong software development methodologies, there could be a lot of wasted time, money, and resources to be accounted for. While every worker has their own way of doing things, organizing a software team requires a wide lensed approach. You’ll need to work with unique personalities who speak different languages–technically or literally–and try to get them to make sure their work connects. 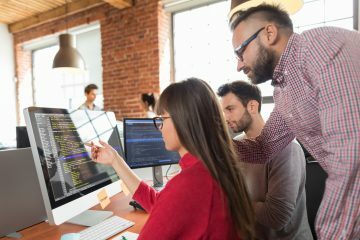 If you’re seeing room for improvement within your current team or you’re starting a new project, consider one of these 4 software development methodologies. The waterfall method is one of the most traditional software development methodologies. It’s a tried and true way of creating a linear flow between teams. By creating your product in a linear fashion, it will allow for a clear understanding of how the project will unfold. By giving everyone a strictly defined role, you can save a lot of time and get your product out of the door quickly. Taking the approach of a prototyping methodology, you give your client a place to give feedback to the software project. While this could extend the schedule significantly, you could end up with a customer who is extremely happy with their product. Developers will be able to take risks and test their product thoroughly throughout the process so that when it’s time to build, they already know what works. Agile is an increasingly popular methodology for startups and contemporary software companies. It allows for flexibility through a well organized and modular management approach. Developers can sometimes over or underestimate the time an element of a project will take. Agile takes the approach of short-term sprints that allow for some members of a team to spend more time perfecting something without holding up the project. Rapid application methodology leans heavily on the development software used in the process. By creating automated systems that allow for development to be sped up, kinks can be worked out on the fly without having to micromanage. Clients like this approach because they get their voices heard. When working with a picky customer, rapid application puts them in the driver’s seat. Rapid application methodology is a great if you have some or all of your software development outsourced overseas. Just like the concept that an artisan is only as good as their tools, software teams are only as successful as their methodologies allow them to be. When working with a new method, allow your team some time to bump into the limitations and take their feedback. While these methods work for some projects, they may need to be customized for your team. 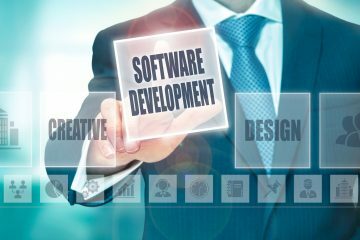 If you’re ready to take on a new software methodology for your team, contact us to find the one that’s the right fit for your next project.